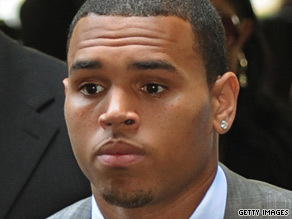 A Chris Brown song called "Not My Fault" was recorded three years ago and is not about Rihanna, its producers said. “I picked up the paper and the headline reads, it says ‘singer brokenhearted in some satin sheets.’ And I’m like, why We had a hell of a time.” “When I first met you, I told ya that you’ll be safe. In the midst of arguing something, falls to the floor and breaks. You look down and see what you dropped, oh, it’s your heart.” “Shortie’s caught up from a long night. She’s ready to fall but she’s all right. That’s just something that can happen when you put it down. She’s caught up, it’s not my fault, right.” “You see, her mama called me, really steamed. She said ‘My daughter won’t eat and she don’t sleep. She just cries.’ ” Brown was arrested in connection with an altercation that began with an argument with Rihanna inside a rented Lamborghini on a Hollywood street in February. Prosecutors agreed to recommend five years of probation and 180 days of community service for Brown in exchange for his guilty plea on one count of assault with the intent of doing great bodily injury.